What is a pan-species list? A pan-species list is a list of all the animals, plants, fungi and protists you have seen in Britain, Ireland and the Channel Islands. Whether a Daisy or a Death's-head Hawk-moth, a Killer Whale or a Killer Shrimp, all species count as equal on your pan-species list. Although this may seem like the trivialisation of natural history to the accumulation of a big list, it's what is behind the list - how you get there - that makes this approach to natural history so powerful. Add a healthy dose of competitiveness in the form of the rankings pages and thanks to Mark Telfer, pan-species listing was born. Will this bring about a 'renaissance of the all-round naturalist'? You can also get involved by compiling a pan-species list for a site - it could be your garden, your patch, or a reserve that you work on or regularly visit. What are the benefits of pan-species listing? It encourages you to tackle difficult and challenging groups. It produces lots of records of these less accessible taxa. 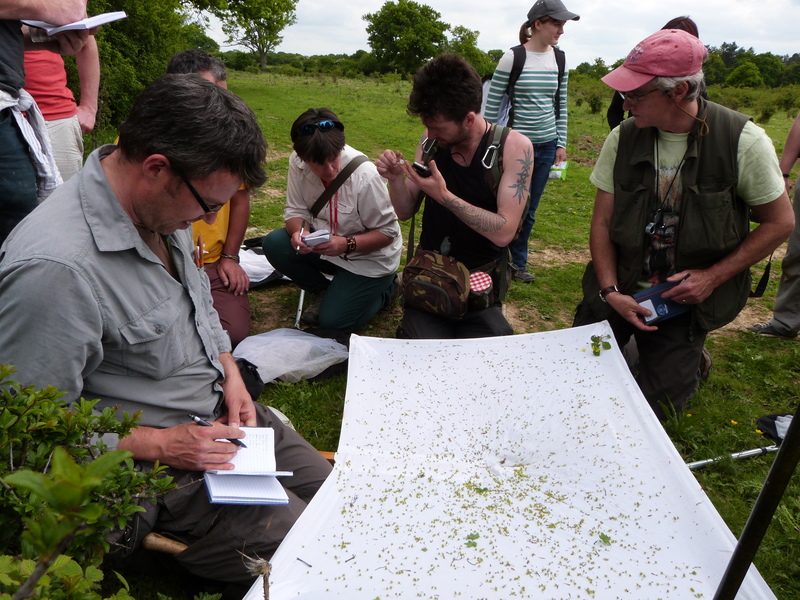 Whether professional or amateur, it will enhance your natural history skills. It promotes the concept that all wildlife is equal. There's now a growing community of all-round naturalists. Field events are now held annually. How do I go about compiling my list? If you are starting from scratch, the easiest way to compile your list is to use iRecord. If all your records are already databased, it should be fairly straightforward to produce a species list. If you are a more experienced naturalist but your records are not databased, the quick way to pull your pan-species list together is to use a spreadsheet guided by the taxonomic breakdown template on the profile pages. Various checklists will be of use at this stage. Although it may seem a daunting task, by far the best way to maintain a pan-species list is to database all your records. Here's the full version of 'The Rules'. In brief, each species counts as one and should be seen alive in the wild by the recorder. As a community we've opted for a relaxed approach to the rules, with every pan-species lister approaching their list in a slightly different way. Some people count things that others wouldn't. But nobody minds - we realise we’re not competing against each other, and that pan-species listing is a personal challenge to get a grip on the immense biodiversity of these islands. In order to contribute to the website and join the rankings you must first register.